This is a really quick recipe for adding a little heat and flavour to corn on the cob. 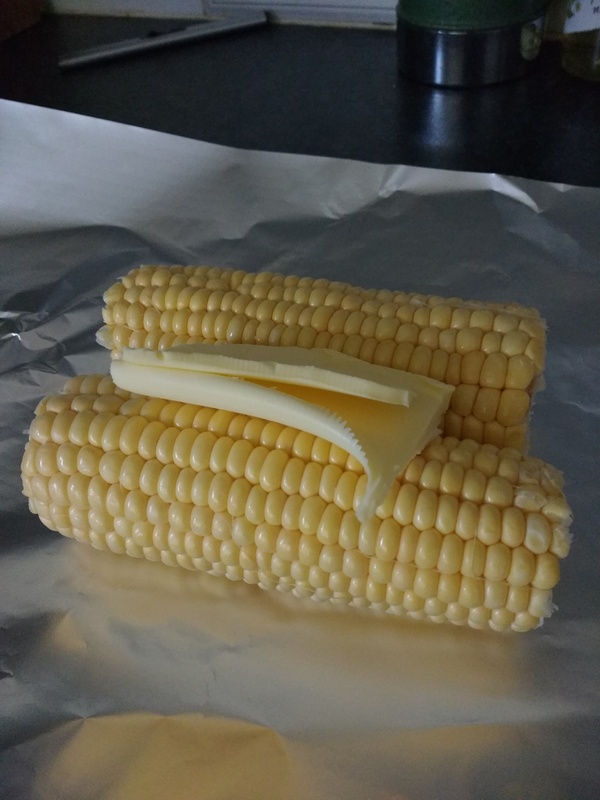 Simply clean your corn cob, and wrap up in some kitchen foil, with a large knob of butter, a diced chilli and the juice of a lime. Put the parcel in an oven at 200°C and cook for about 20 mins (longer if you want slightly less crunchy corn). Serve and enjoy the heat. 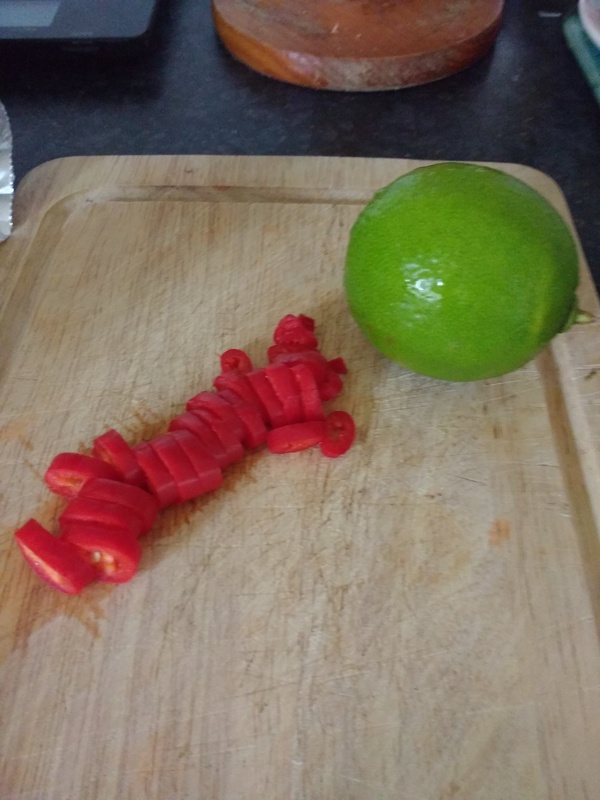 This entry was posted in Cooking, Fork To Fork, Self-sufficient and tagged chilli, cooking, lime, sweetcorn. Bookmark the permalink. 4 Responses to Sweetcorn With Heat! Sounds really good! Janice isn’t a fan of really spicy food. Would bell peppers work, do you think? Might have to give that a try. Thanks for sharing, Alan! Hi David, I’ve never tried bell peppers but I think it would be worth a try, at the end of the day it’s about transferring flavour. You could try a milder chilli and de-seed it as well, that should still give some heat but nothing too fiery. I’ll try that, when the season comes around. Thanks.